In our workshops we explore participants’ barriers to innovation. We ask them to think about themselves, their teams and their wider organisations and list the barriers that stop, hinder or stall innovation. Having completed this exercise with hundreds of participants and teams, regardless of industry, geography or profession, the same barriers and challenges surface. Barriers to innovation fall into three categories - strategy, process and culture. By sharing barriers to innovation, people learn they are not alone. This helps develop innovation confidence and create a sense of solidarity among participants. It's a powerful place to embark on a journey to overcome them. Very often the barriers spread to two or three categories, so we draw them as an interconnecting Venn diagram. For innovation to succeed and thrive, teams and organisations need to ensure there is a clear innovation strategy and purpose, an active and supportive innovation culture and a clear and practiced innovation process. This is one of the most common barriers and it's easy to see why it slows people down. Not knowing where to start, derives from not knowing the purpose or destination and a lack of a process or map to follow. Referred to as the 'disorientation barrier’, it fits in the segment between Strategy and Process. Perhaps you share this barrier in your organisation too? During the workshop, we dug a little deeper and discussed the difference between knowing WHERE to start and knowing HOW to start. Innovation is the process of turning an IDEA into a REALITY that creates VALUE. The ‘value’ to seek is value to your end users. Focusing on end-user value first will result in and drive long term growth and market differentiation. Too many organisations prioritise seeking value for themselves and end up with short term focus, incremental growth and limited market differentiation. This can quickly result in lost market share and user loyalty, while leaving organisations susceptible to disruption. The second part of the fix builds on this. You need an innovation process that actively seeks to add more value to your end users by identifying their needs, wants and frustrations. When people are looking to innovate, they think they must come up with a good idea first. But ideas are cheap and easy and very often don’t go anywhere because they don’t solve a user need or frustration. This isn’t innovation, it’s invention and a lot of wishful thinking. It is slow, wasteful and people soon tire of their ideas not working and stop trying. However, if you start seeking out problems first, and really get to know them and understand them, i.e. “fall in love with them” the solutions become obvious and the value to the end user is clear. This is why I am so passionate about teaching Design Thinking as a process and mindset for innovation. 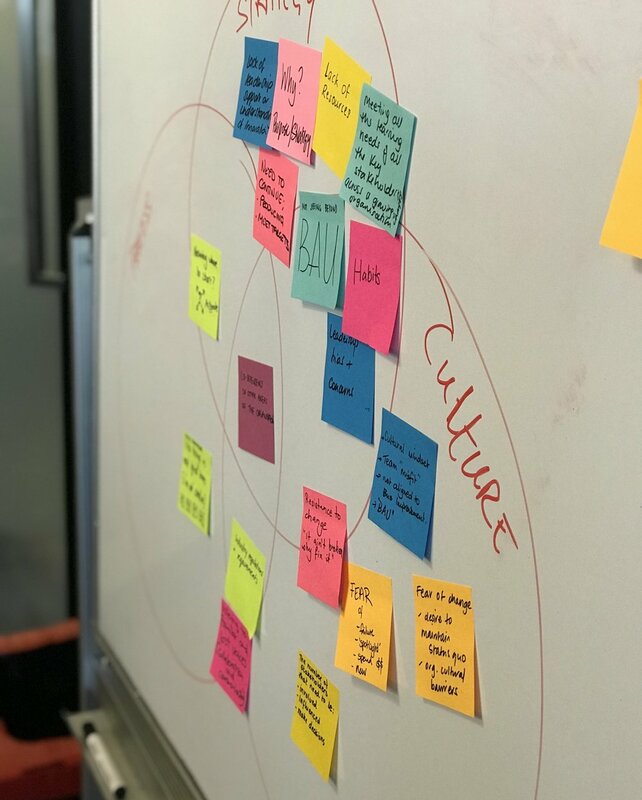 Design Thinking is about constantly seeking to add value to your end users by understanding and empathising with their needs and what’s going on around them. It has an iterative process and set of tools that provide a framework and guide. It is agile and fluid which makes it extremely responsive to new insights, ideas or outcomes. Moreover, it is quick, increasingly important in today’s fast moving world. 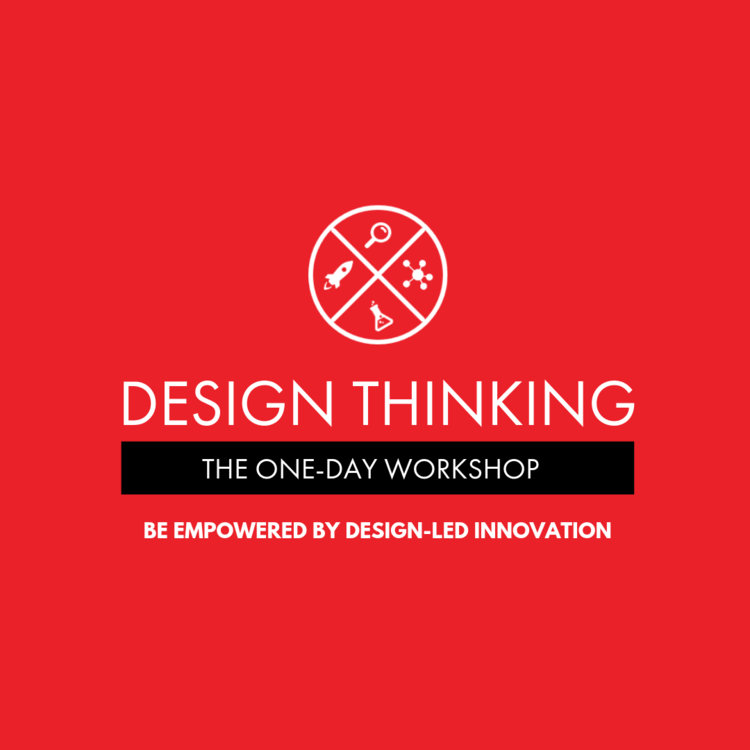 Over the course of this workshop, we immersed participants in this way of working - instilling the powerfully creative, user-centric mindset, skill-set and toolset that is Design Thinking, to practice and deliver innovation in their roles and teams every day. A robust process for innovation is vital. It gives teams structure and comfort. If you think about most things in an organisation there is a process - a sales process, a procurement process, a recruitment process and so on. If you want innovation to happen consistently and sustainably you need an innovation process. This tells you HOW and WHERE to start. Need help working through your barriers to innovation? Take a look at our one-day workshops or ask us about digging deeper with our transformation programs.